Simplify wiring. 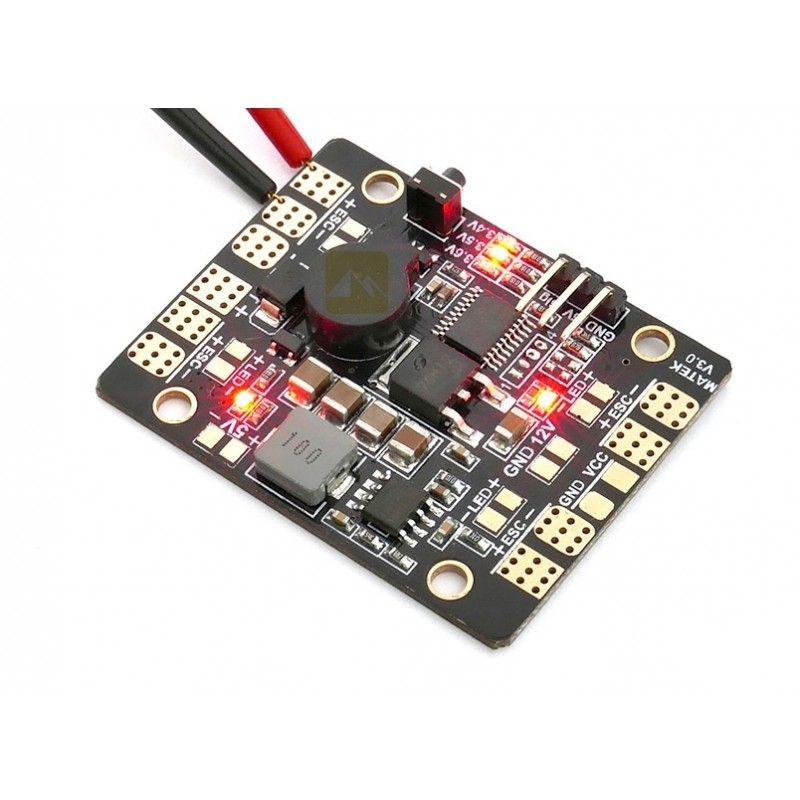 If the battery is 4~6 cells LiPo, the BEC can be setted to 12V output, to power the Gimbals, Video Transmitters, etc. 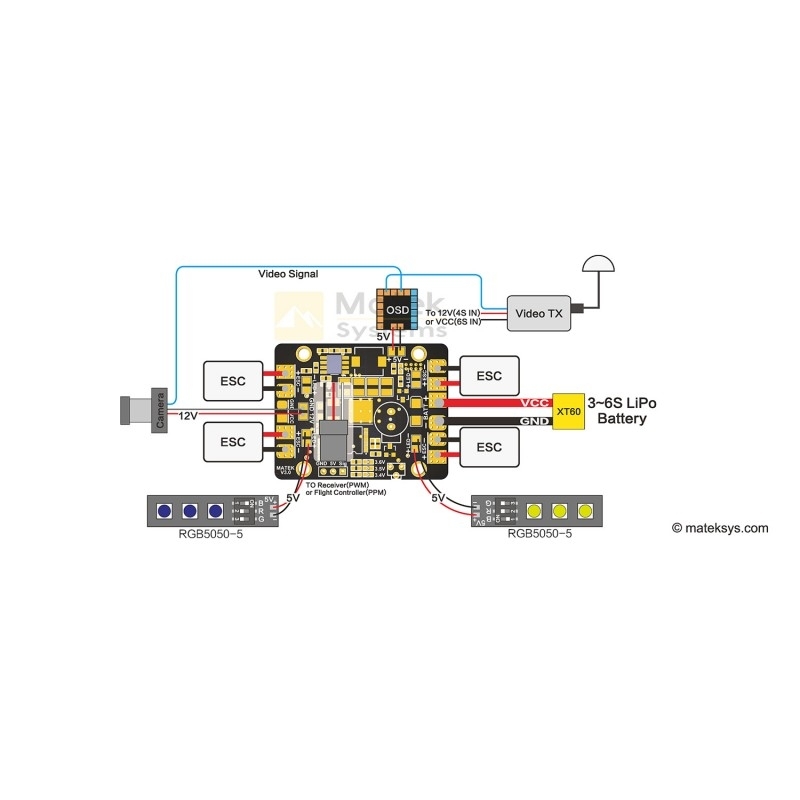 Inbuilt LED light controller, three flash modes can be chosen with the toggle switch of transmiter. And the buzzer can also be triggered with the toggle switch, which can help you find the models in tall grass or trees. 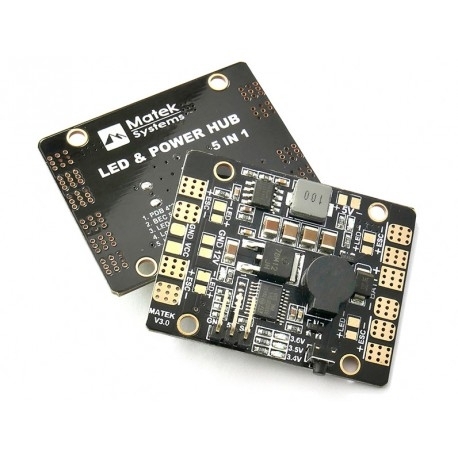 the 5in1 also acts as a battery voltage monitor. Once voltage gets below the threshold that you set, the buzzer & LED light will remind you.